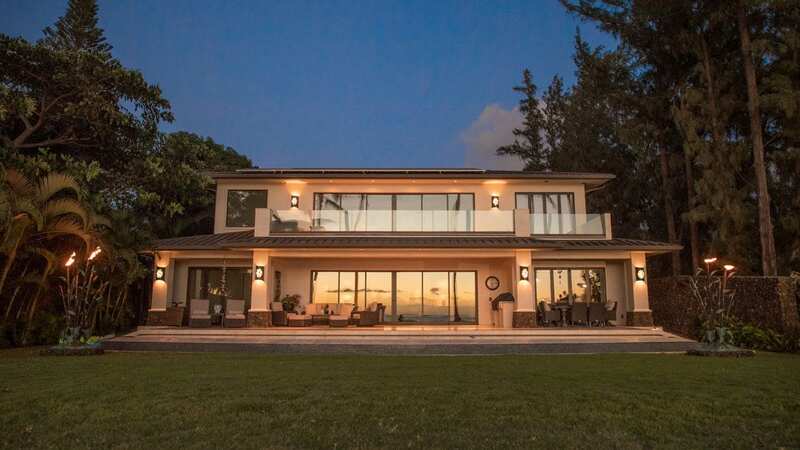 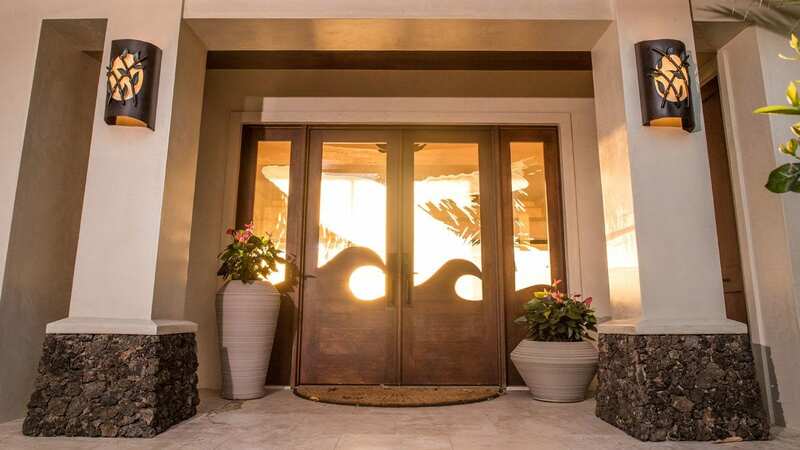 This elegant ocean front property went through a complete remodel of the exterior hardscape. 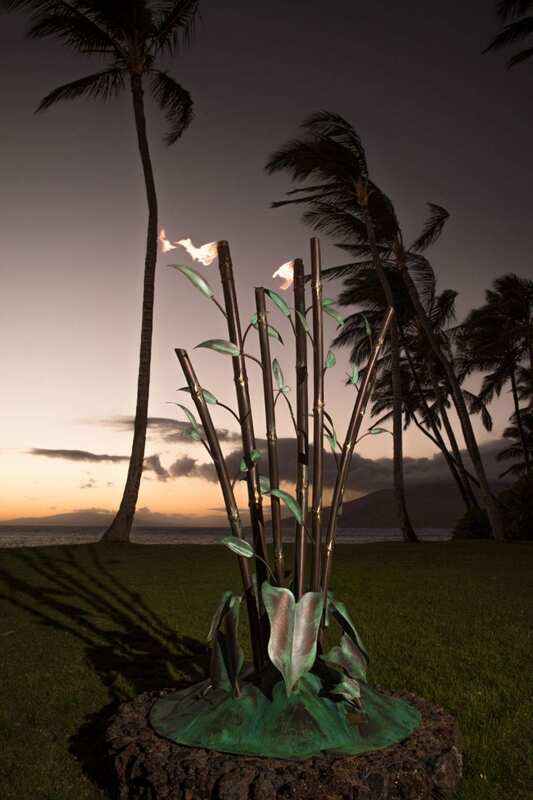 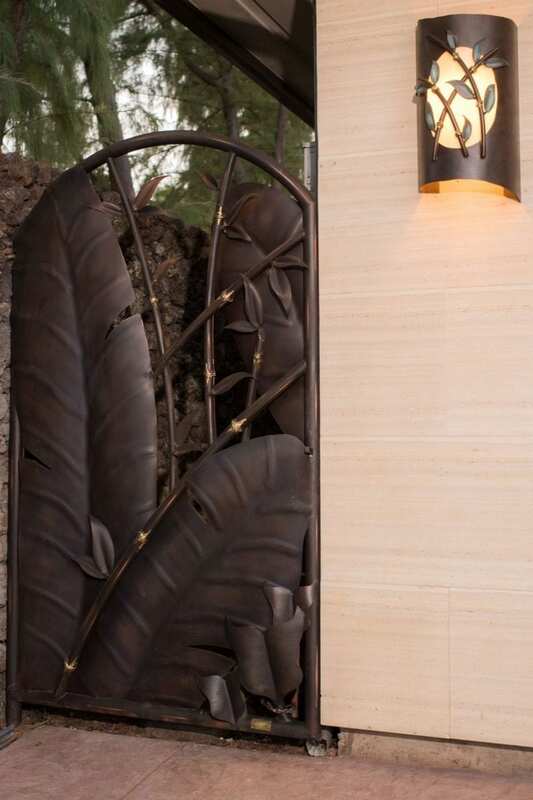 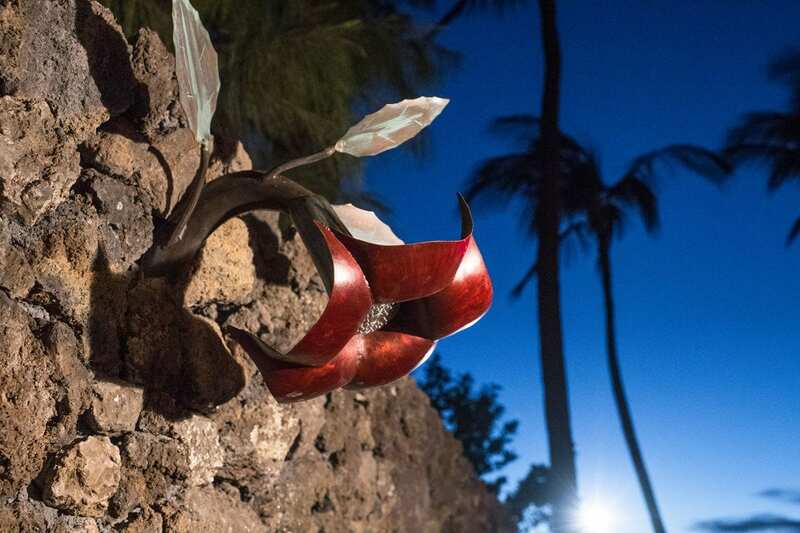 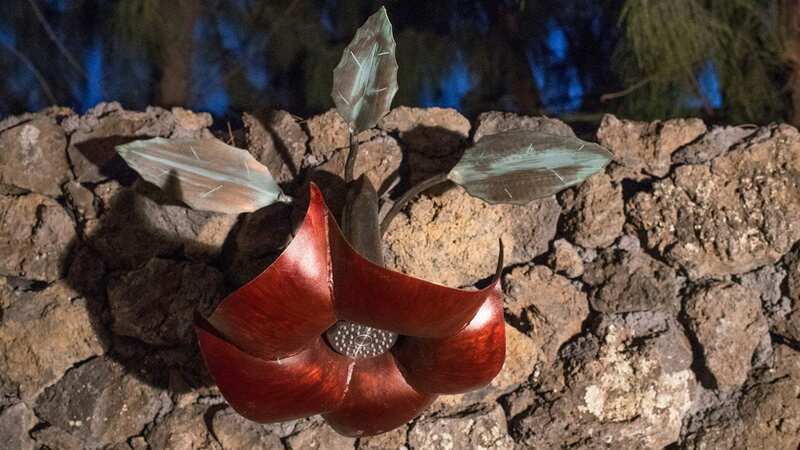 The entrance way was completely transformed and we introduced a modernized tropical sculpture theme and wove it through the estate. 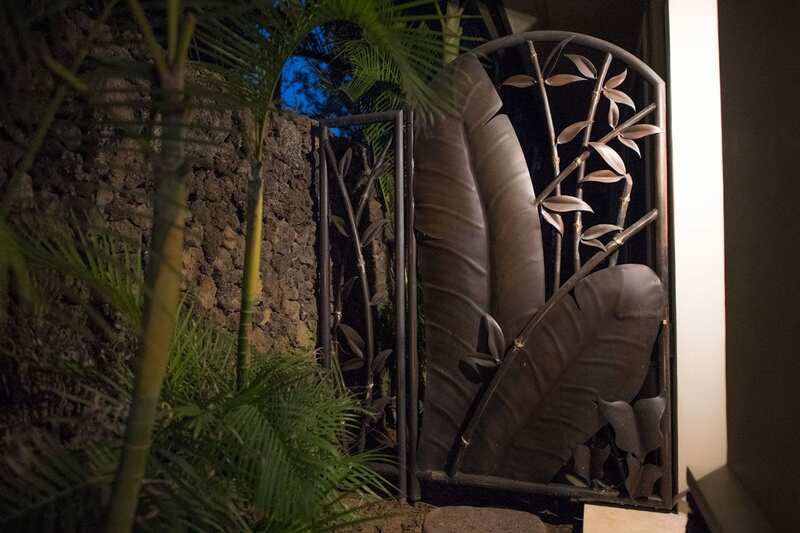 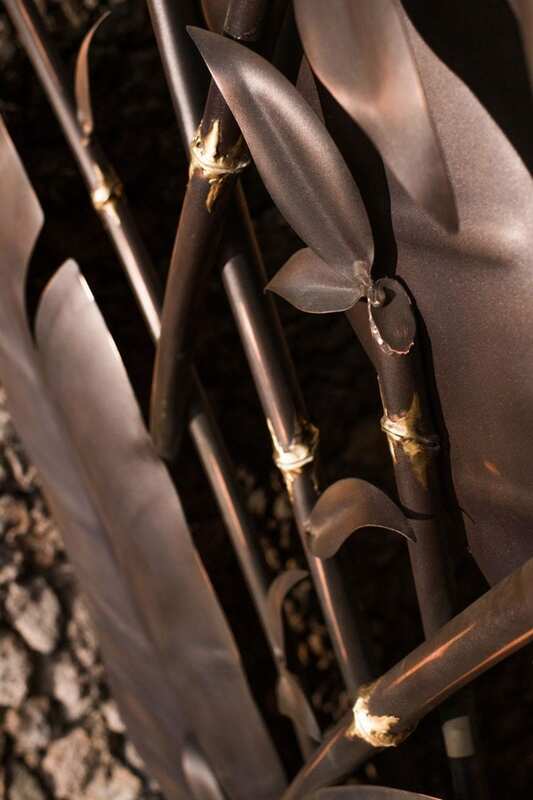 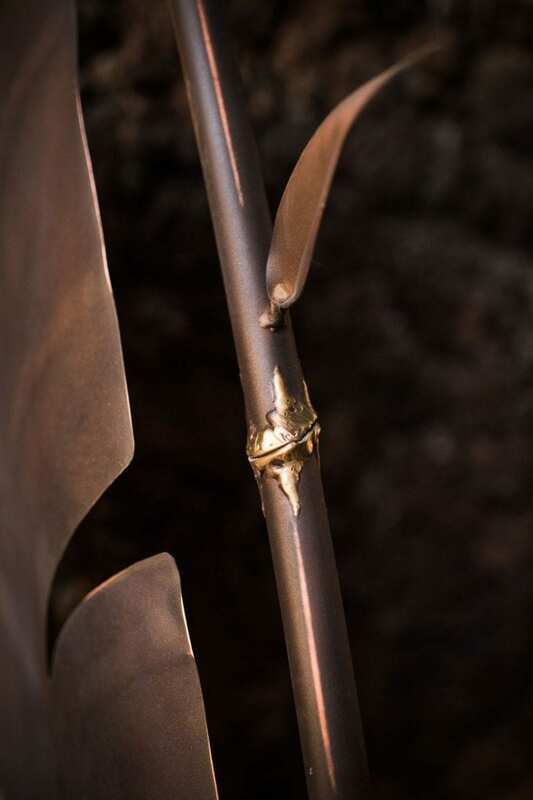 The entrance gates, column lights, sconces and fire features were all fabricated from copper and brass and finished with a medium bronze patina and satin clear coat. 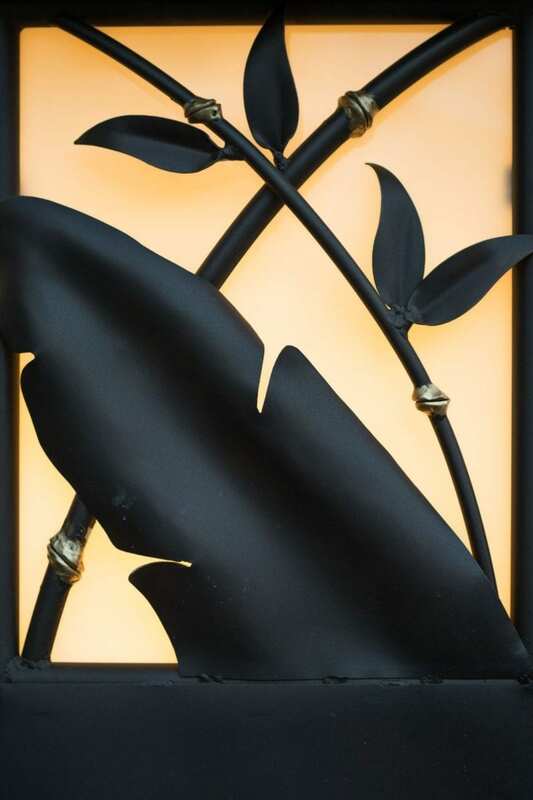 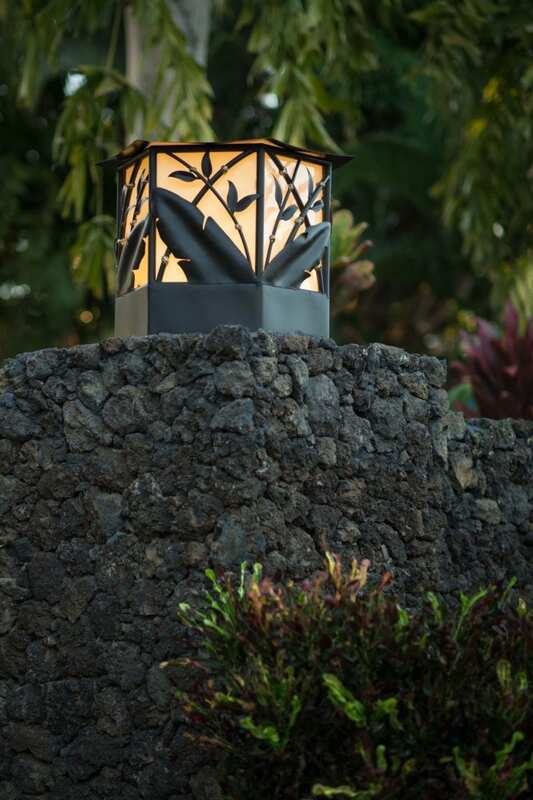 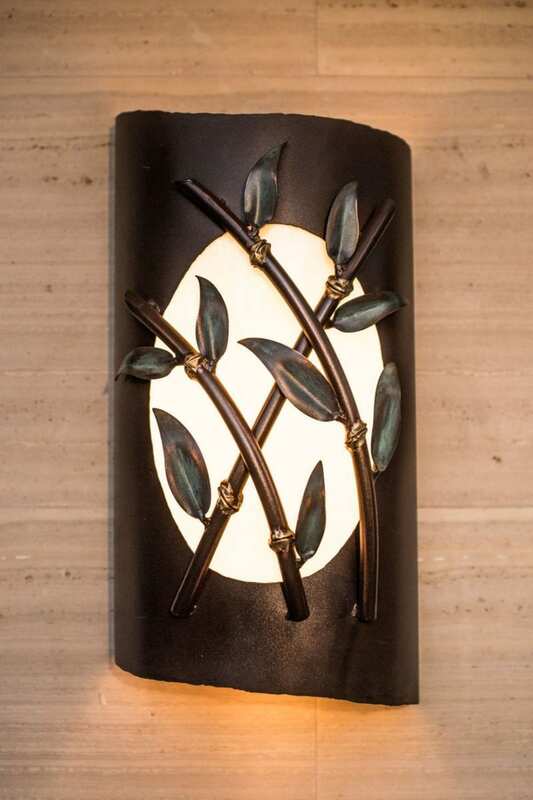 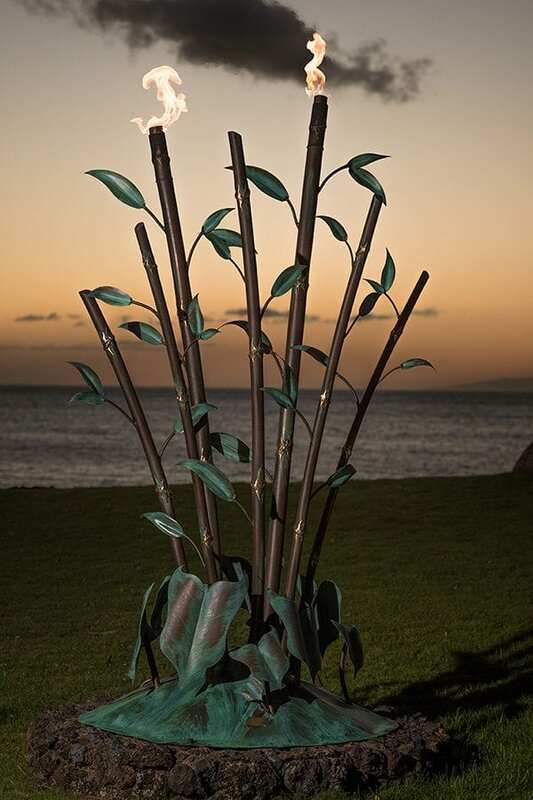 This rich patina finish adds a subtle modern feel to a other wise decorative tropical design. 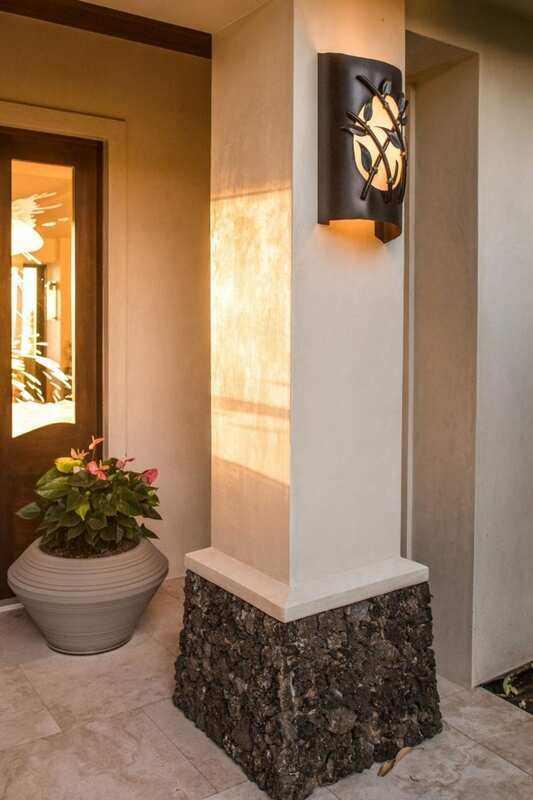 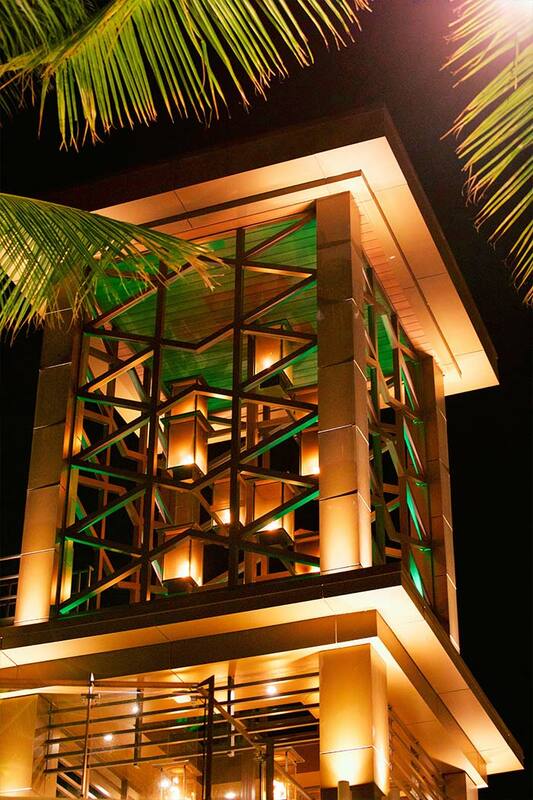 The sconces, column lights and fire features accent the architecture by day and create beautiful glowing silhouettes and shadows by night.